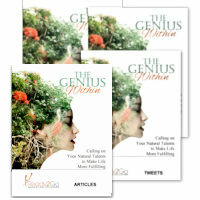 Success Tips: The Genius Within - Calling on Your Natural Talents to make a Life More Fulfilling from Ready2Go Marketing Solutions, Inc.
‘Genius’ is a provocative word. Whether it’s in the realm of art, music, or science, when we hear the word ‘genius’ names like Michelangelo, Mozart, and Einstein come to mind – people whose work has permanently changed and influenced humanity long after they’ve died. But what is a genius, really? A person with an extremely high IQ? Someone with exceptional grades? A person who creates work that impacts humanity for the better? With critics disputing the genius status of luminaries like Picasso, Woolf, and Hawking, defining genius can be subjective. Why? Because it’s highly individual, unique, and has evolved over time. For the ancient Greeks a person’s genius was interpreted as a spirit that lived within the human psyche. 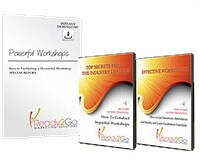 They believed that everyone was imprinted with a gift or mission and one’s life purpose was to discover and cultivate their unique gift. It had little to do with a person’s intelligence. The ancient Romans first referred to this connection to the divine as genius. Genius was the guiding spirit, talent and inspiration all rolled into one. That Divine entity lived within every individual and family. Even a village was thought to have its own genius. It wasn’t until the 1800’s when scientific theory was applied that a person’s intelligence became the benchmark for genius. A person’s intelligence and, by extension, their genius could now be tested, measured, and quantified with what would eventually become known as the ubiquitous IQ test. Elizabeth Gilbert, author of Eat Pray Love, suggests this was the beginning of the concept of ‘being’ a genius rather than ‘having’ genius. She proposes it’s time to go back to the ancient definition – ‘having’ genius instead of ‘being’ genius. In her ground breaking TED talk ‘Your Elusive Creative Genius,’ she credits a genius being outside of herself who helped her write her many best-selling novels. This genius is our partner, she says, and if we do well, we share credit with it. If we don’t do well, regardless of the endeavor, we also share the heartbreak. This was how the ancients felt, too. So now what? Which definition of genius is correct? The belief that a being outside of ourselves sprinkles fairy dust and co-creates our work? Does the last word on genius go to IQ? Or maybe it’s even a little bit of both… Perhaps the most appropriate definition of genius is the one that allows you to access your own genius and use it to make your unique mark on the world.